Have video game lovers in your studio? Of course you do! 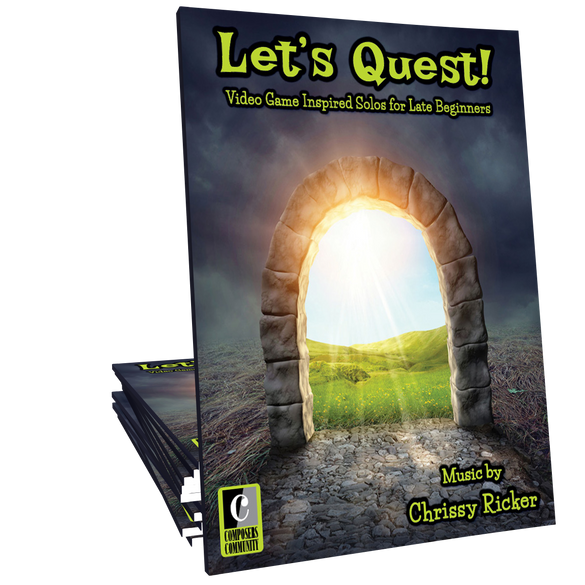 Let’s Quest is a collection of video game inspired showcase solos, composed by Chrissy Ricker, that will delight late beginners of all ages in your studio! One of my older students (who is picky) played a piece from this book in a recital. Another student heard it and like it so much he wants to play it as well. These pieces sound amazingly like video game music. This book can be summed up by one of my students “the Awesome Songs” book. 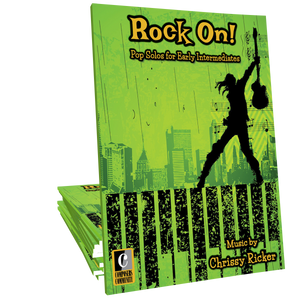 Engaging for tweens and older beginners, the pieces sound contemporary and cool. Highly recommend!! My students love the songs in this book!! We anxiously awaiting the release of book 2. Awesome!!! Or as my students say, This is "lit." Can't wait to share this collection! I am so excited. 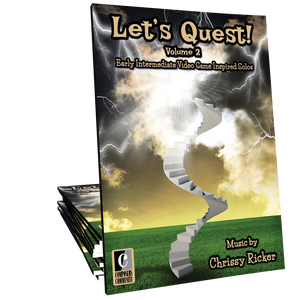 This book speaks to a large audience--video game lovers! 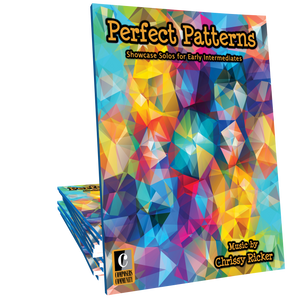 This book is perfect for beginners (not primer--level 2) with simple rhythms, 2-page pieces, easy key signatures with accidentals written in for them. I started noting my favorites, Epic (fast, rhythmic fun! ), Fifth Gear (seriously cool! ), but they are all really great. This book also includes two duets! Thank you, Chrissy, for these fun pieces that my students love! They're asking for "the sequel"
Chrissy Ricker-- you get where my students are at! Most of my students spend more time playing video games than creating music. The music is very catchy and will entertain the most picky student. Think of the students who play "End Game" non-stop. They'll love this book. I'll be using this book tonight with a family. I can't wait! This collection has become a studio FAVORITE! My students absolutely love these pieces! They do actually sound like video games which is a huge attention grabber for all my gamer students. I'm looking forward to hearing several of these in this semester's recital. My students are so excited to get to play these pieces! What a fun collection!